Tiangong-1 was placed in orbit in 2011, acting as a testing ground for China's efforts towards building its own space station by 2022. A defunct Chinese space lab disintegrated under intense heat as it hurtled through Earth's atmosphere Monday and plunged towards a watery grave in the South Pacific, Chinese officials said. 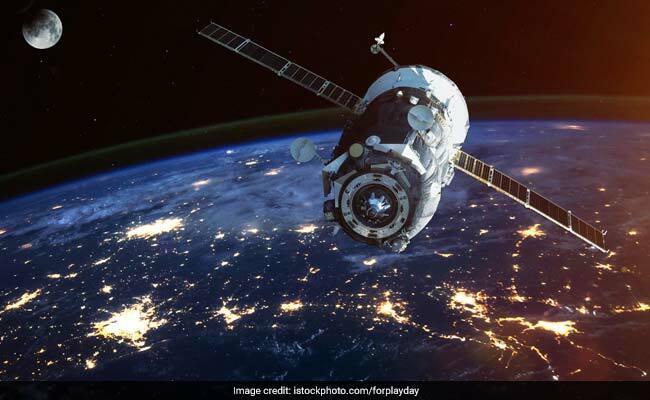 The Tiangong-1 "mostly" burnt up above the vast ocean's central region at 8:15 am (0015 GMT), China's Manned Space Engineering Office said. There was no immediate confirmation of the final resting place of any remaining debris, although the South Pacific is largely empty. Tiangong-1 -- or "Heavenly Palace" -- was placed in orbit in September 2011, acting as a testing ground for China's efforts towards building its own space station by 2022, but it ceased functioning in 2016. Space officials had promised the atmospheric disintegration would offer a "splendid" show akin to a meteor shower. But the remote location likely deprived stargazers of a spectacle of fireballs falling from the sky. Jonathan McDowell, an astronomer at the Harvard-Smithsonian Center for Astrophysics, said the module zoomed over Pyongyang and the Japanese city of Kyoto during daylight hours, reducing the odds of seeing it before it hit the Pacific. "It would have been fun for people to see it, but there will be other re-entries," McDowell told AFP. "The good thing is that it doesn't cause any damage when it comes down and that's what we like." Space officials had warned that knowing the exact location of the re-entry would not be possible until shortly before it happened. The difficulties seemed to wrong-foot Chinese space scientists -- just moments before announcing the craft would come down over the Pacific, they had said it would make its re-entry over Sao Paulo, and head towards the Atlantic Ocean. The US military's network of radars and sensors also confirmed that the Tiangong-1 had re-entered over the Pacific, but a minute later than the Chinese estimate, according to a statement by the Joint Force Space Component Command. McDowell said China's space agency's initial estimate for re-entry was off because it "guessed wrong" about the time the space lab would come down from its orbital path. "That's all that happened," he said, as models used by experts to estimate a re-entry point pick the middle time in a return window. The European Space Agency had described the probability of someone being hit by a piece of debris from Tiangong-1 as "10 million times smaller than the yearly chance of being hit by lightning". The module -- which was used to practise complicated manual and automatic docking techniques -- was originally intended to be used for just two years, but ended up serving considerably longer. During its brief lifespan, it hosted Chinese astronauts on several occasions as they performed experiments and even taught a class that was broadcast into schools across the country. Huang Weifen, deputy chief designer of the Astronaut Center of China, said it played an "important role" in China's space history, providing "precious experience" for building a space station, according to the official Xinhua news agency. In an article on a science ministry website, she said the lab marked many "firsts" for Beijing's space programme: The first manual docking of a spacecraft, the first flight by a female astronaut and the first lesson from orbit. Tiangong-1 had been slated for a controlled re-entry, but ceased functioning in March 2016. Space enthusiasts have been bracing for its return ever since. The ESA has said ground controllers were no longer able to command Tiangong-1 to fire its on-board engines, which could have been used to determine where it re-entered Earth's atmosphere. In contrast, Russia brought down its massive Mir space station through a controlled re-entry over the Pacific Ocean in 2001. A Chinese spaceflight engineer denied earlier this year that the lab was out of control. Chinese media have downplayed comments by the ESA and others that engineers had lost control of the lab, with reports saying the idea it was "out of control" was an invention of foreign media. The lab "re-entered the atmosphere because it ran out of fuel, not because it's out of control," according to an expert interviewed by the nationalist tabloid the Global Times. Reports to the contrary, it said Monday, were because "foreign media envy China's space program". Beijing began its manned spaceflight programme in 1990 after buying Russian technology that enabled it to become the third country with the ability to launch humans into space, following the former Soviet Union and the United States. China sent another space lab, Tiangong-2, into orbit in September 2016. It also plans to send a manned mission to the moon in the future.